The Flame Tree Barbecue listing is a Counter Service (quick service) dining location at Animal Kingdom featuring American - Barbecue cuisine. There are 10 photos in the Mealtrip photo gallery for this location and dining period. 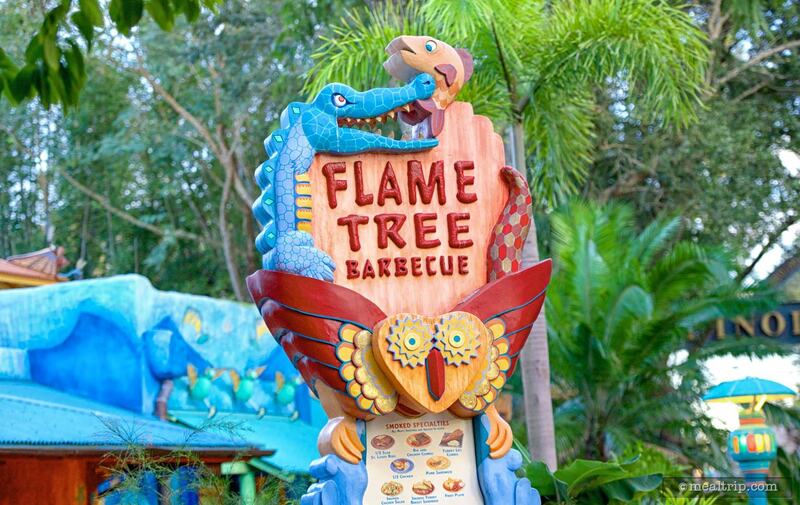 The Flame Tree Barbecue listing currently has a score of 50 out of 100. 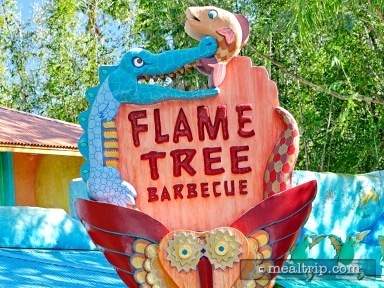 Click here to read all of the reviews for this location, or log in to Mealtrip.com to add your own review for Flame Tree Barbecue. This sign in front of the Flame Tree Barbecue also serves as a two-sided menu board. 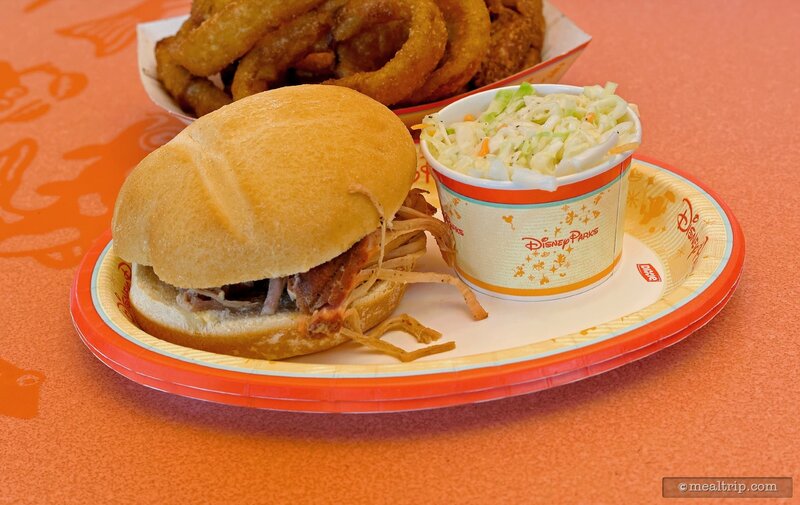 Flame Tree BBQ Pork Sandwich, served with coleslaw. 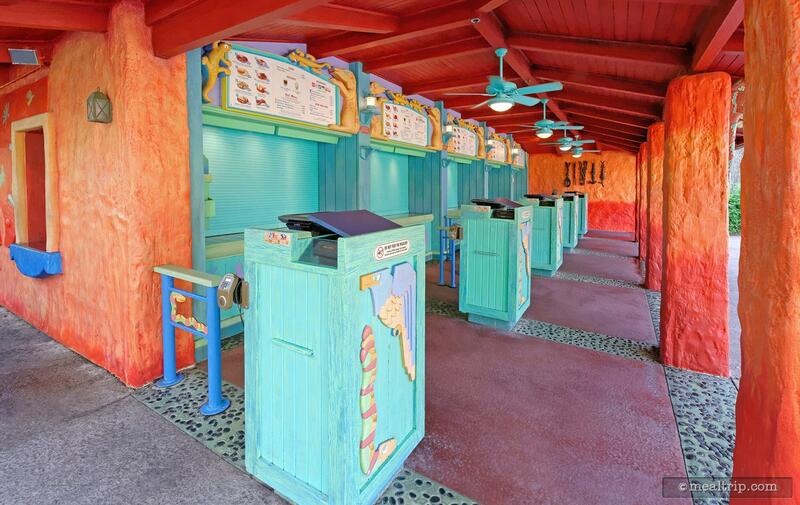 The order-taking and food distribution area at Animal Kingdom's Flame Tree Barbecue. 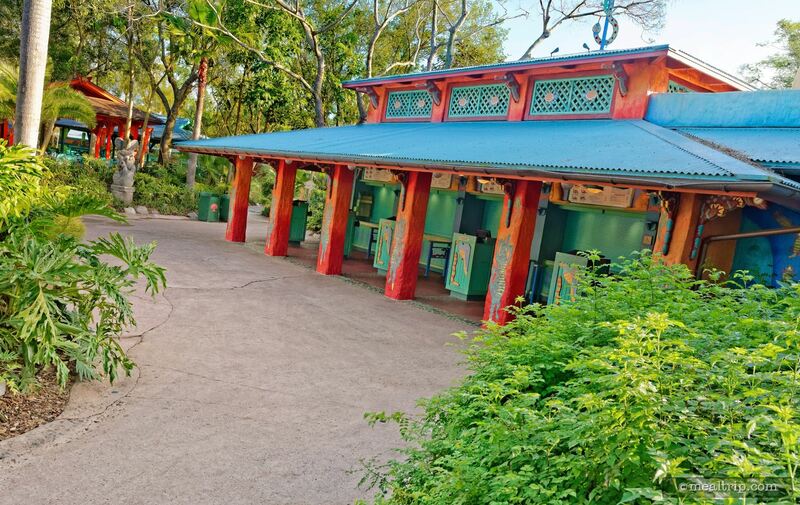 The order taking, payment, and food pickup area in the front of Animal Kingdom's Flame Tree Barbecue. 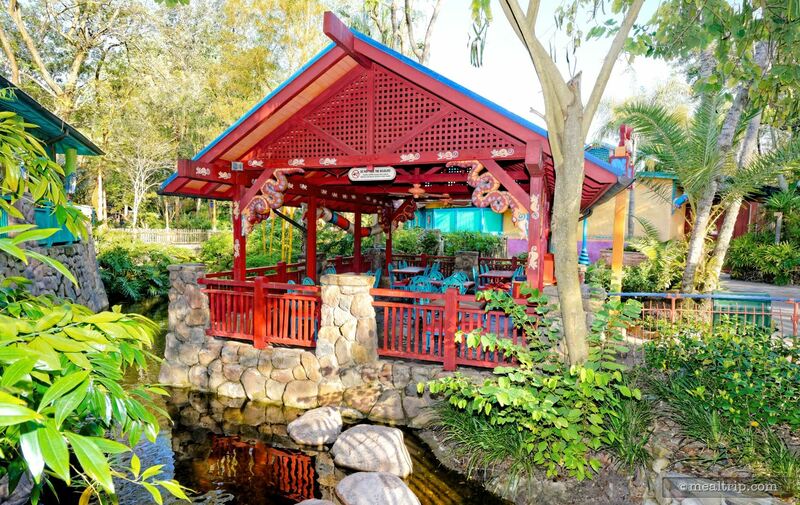 This is the red covered dining area at Flame Tree BBQ. 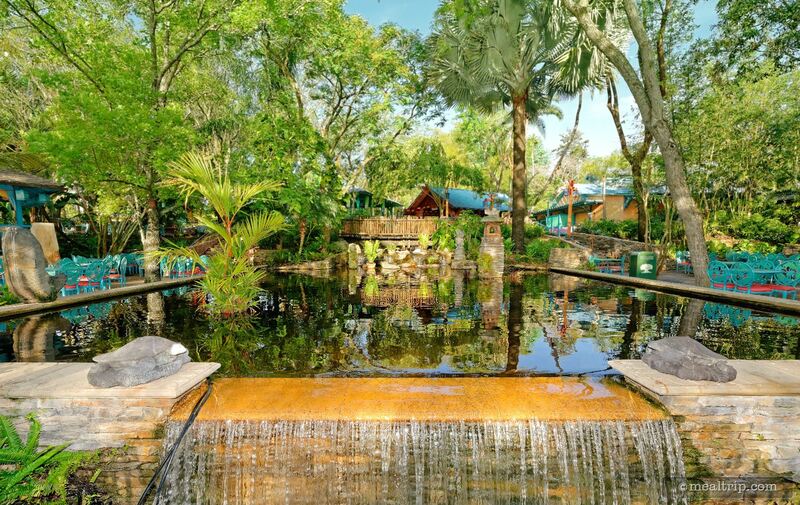 There are several such paddocks placed in the relaxed dining area behind Flame Tree. 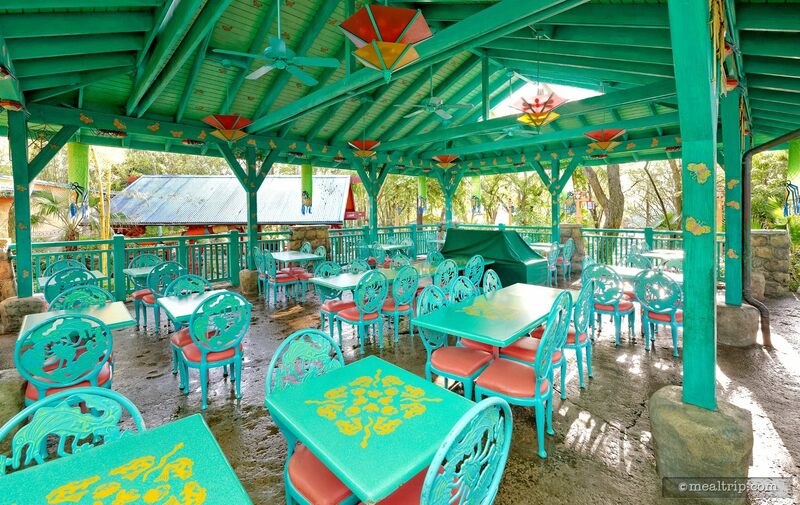 Some of the tables at Flame Tree BBQ are covered only by the tree canopy overhead, which provides cover from the sun, but not so much from the rain. 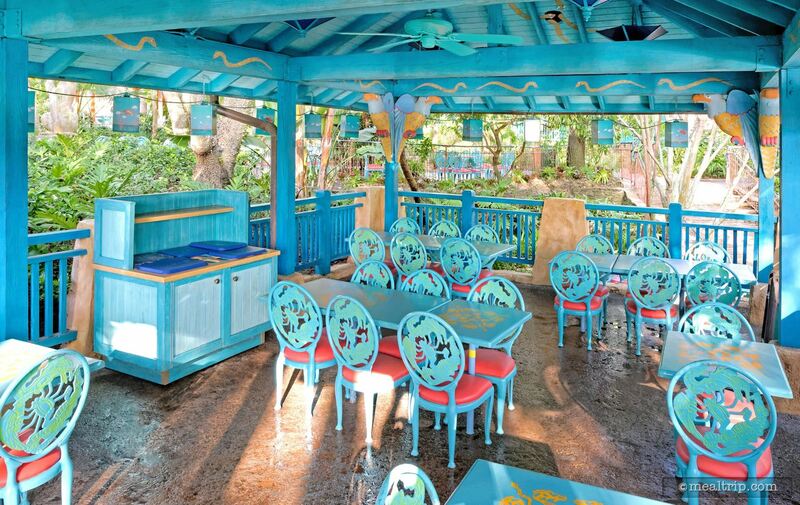 Each of the covered dining areas at Flame Tree, contain a small napkin, utensil, and condiment counter. 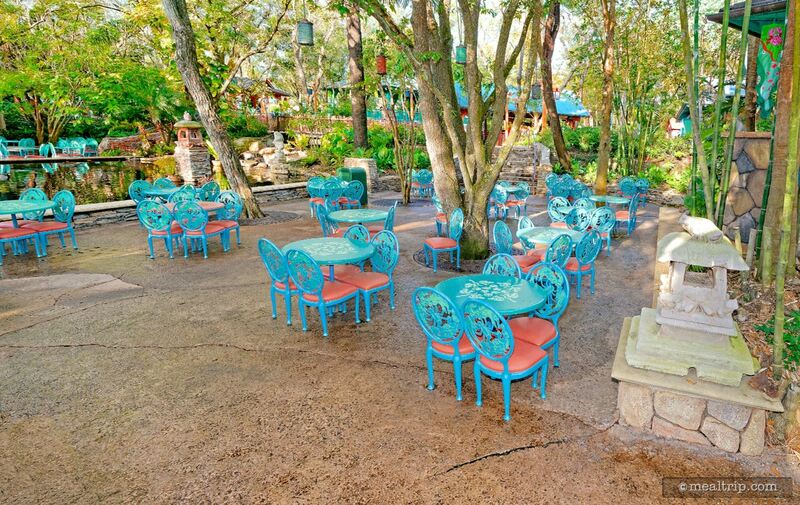 Flame Tree BBQ has many outdoor seating areas. Some, like the green paddock shown here, are covered and give good protection from the sun, and rain. 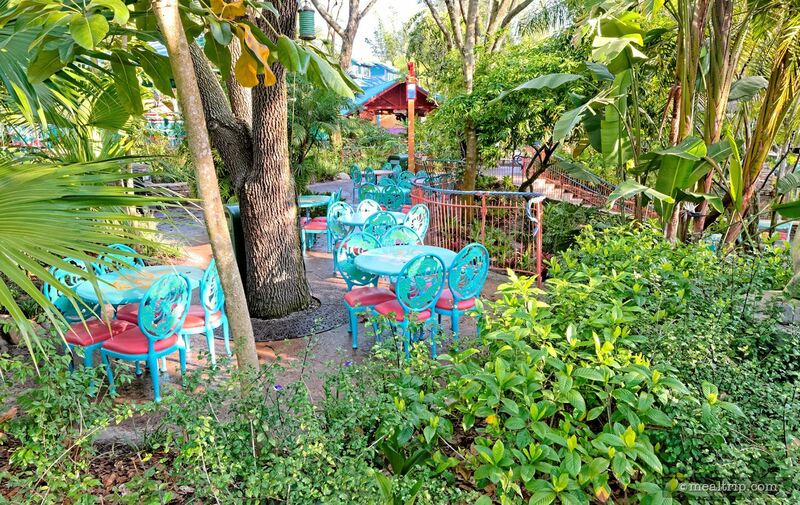 Animal Kingdom's Flame Tree Barbecue also offers outdoor, uncovered seating. While not being much protection from rain, the natural canopy of trees provides a nice cover from the sun. The reflecting pool is one of the main features in the upper dining areas.